Yeah, we know. The Spinball automatic ball feeder is more expensive than the ones made by other companies. There's a good reason for that, though. Not only does it hold twice as many balls as other companies' ball feeders, but it comes with a remote control. Not only that, its revolutionary design is far advanced from the typical ball ramp design of other feeders. The turret-like feeding system ensures that balls don't get stuck - especially balls with seams - like happens with other feeders. 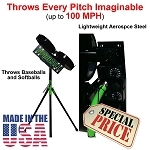 Made specifically for the Spinball Wizard pitching machines, the Spinball Automatic Ball Feeder allows you to practice solo without needing anyone to feed balls into the pitching machine one at a time. 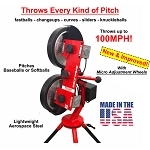 Please note that it will only work with Rawlings Pro Line or Spinball Wizard pitching machines and is not intended or warrantied for any other purpose. The Spinball Sports Automatic Ball Feeder is a better ball feeder than you get with competitors' products. It holds more balls (35 baseballs or 29 softballs) and includes a remote control - something you have to pay extra for with other auto feeders. The feed time is set at 6 seconds, giving hitters time to get set for the next pitch but not so much time that they feel like they are waiting forever for the next pitch. It can hold real or dimple baseballs and/or 11" or 12" softballs, depending on the model you select. It is also backed by an unheard of 5 Year Manufacturer's Warranty. Please be sure to protect your investment with a pitching machine screen, though! IMPORTANT: Please be careful to select the correct pitching machine auto feeder when placing your order (2 wheel or 3 wheel) and whether you want it to be able to feed baseballs, softballs (or both) and whether you need one for a machine with XL legs. Q: How much does the rawlings pro line automatic ball feeder weigh? Thank you. A: The weight of the automatic ball feeder depends on which style legs you choose. They weigh anywhere from 25-35 pounds depending if they have the shorter softball legs, slightly longer regular baseball legs or the even longer XL or ARP legs. We don't want anyone to be unhappy with their purchase, so Spinball Automatic Ball Feeders may be returned for any reason within 30 days for a full refund minus a 15% restocking fee. The 15% restocking fee is calculated from the normal sale price and not from any additional discount coupons that may have been used. This fee is the lowest in the industry and covers our outgoing shipping costs, non-refundable payment processing fees charged to us by credit card companies, processing and packaging expenses and minor cosmetic damage to the unit. It is the customer's responsibility to pay for shipping back to Spinball Sports. Spinball Sports Automatic Ball Feeders are covered for 5 years for residential use or 1 year for commercial use. No matter where you order a Spinball Automatic Ball Feeder from, NOBODY actually stocks them; they all ship directly from the manufacturer's warehouse located in Mt. Vernon, Illinois. Therefore, the shipping time frame is exactly the same no matter what website you order from (we hope that it is this one!). 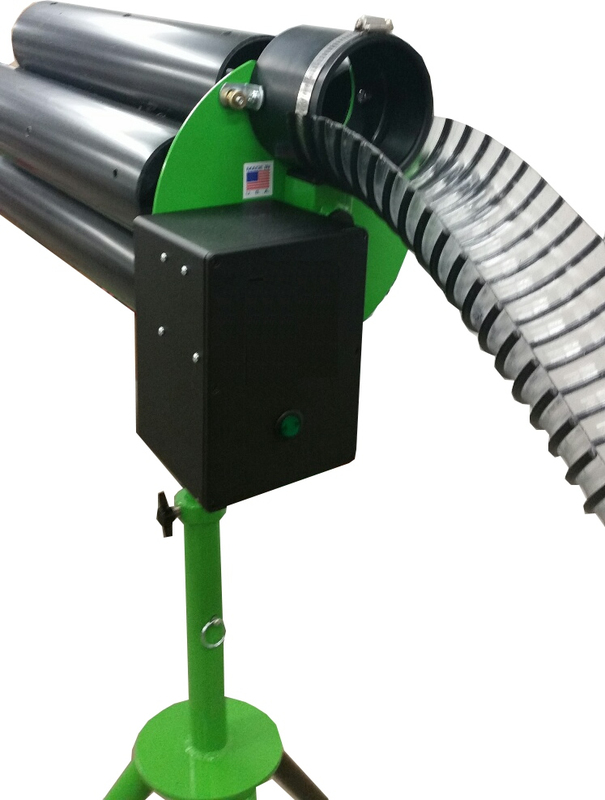 Spinball Sports Automatic Ball Feeders typically take 3-5 business days to ship from the time you place your order. They ship via Federal Express (FedEx) Ground and could take anywhere from a day or two to a week to get to you AFTER being shipped, depending on your proximity to their warehouse. We will notify you of your tracking number the moment we receive it from the manufacturer's warehouse. Click here to download an easy to read, printable PDF of the Spinball Sports Autofeeder Owner's Manual.